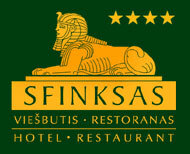 Hotel – Restaurant "SFINKSAS" – luxury, privacy, quality and comfort! 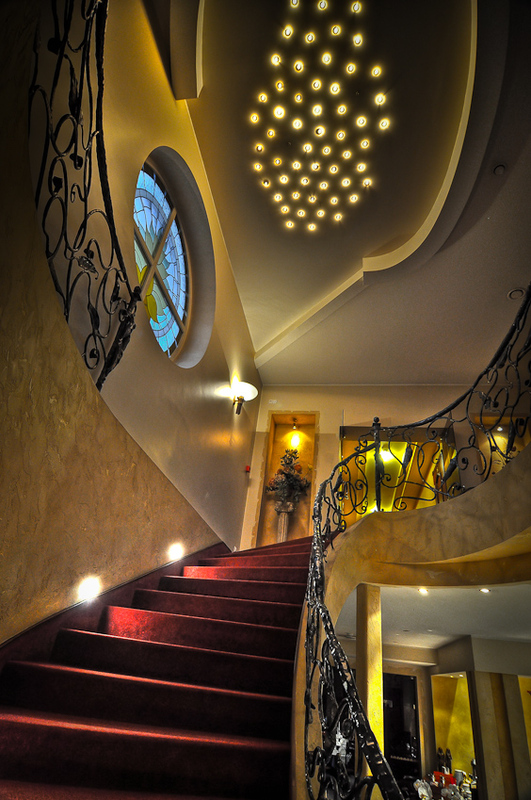 Our hotel is located in Žaliakalnis – a prestigeous part of Kaunas, which is close to the City Centre and far from the City noise, surrounded by luxury and greenery – creating a feeling of a serenity. Guests can enjoy a city life or unique oak park located in 7 minutes away (on foot) from the hotel. We believe, that the best advertisement for hotel is happy and satisfied customer, who will return or recommend our Hotel to others. Therefore, we are trying to do our best to provide full comfort for our customers.